The Team Corally TIRE JUICE has been developed in conjunction with World and European Champions to provide the highest level of grip with unprecedented levels of consistency from the start of the race to finish line. In formulating the TC TIRE JUICE careful consideration was given to extending the life of the tire and even though TC TIRE JUICE provides the traction champions require it also helps reduce tire wear. 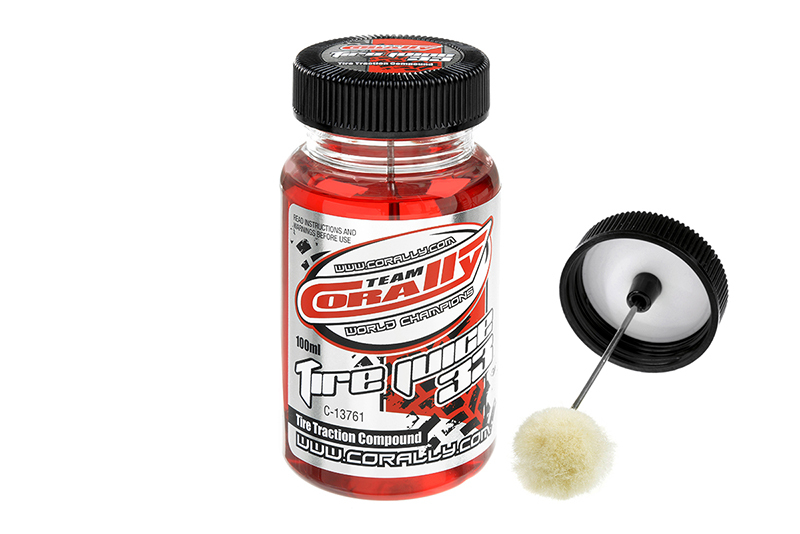 The TC TIRE JUICE 33 - RED is ideally suited for foam tires on asphalt but also works well on rubber tires.